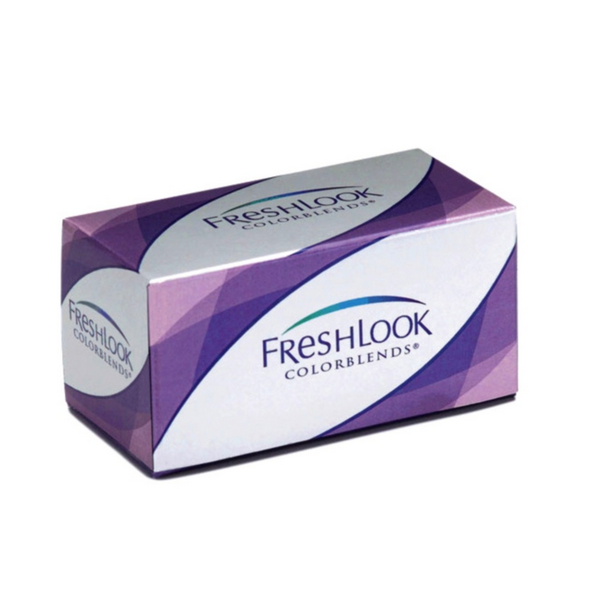 Fresh look is one of the best selling coloured lens providing 3 colours into one to create the natural colour of the beautiful eyes. There is a wide variety of colours to choose from. There is Gray Blue Brown Pure Hazel green Amethyst and Violet. Freshlook lenses can be worn upto one month of use but if the usage is less they may be extended by another 2 weeks depending on the individual patient. The new colours of Fresh Look are Sterling Gray Gemstone Green and Brilliant Blue."